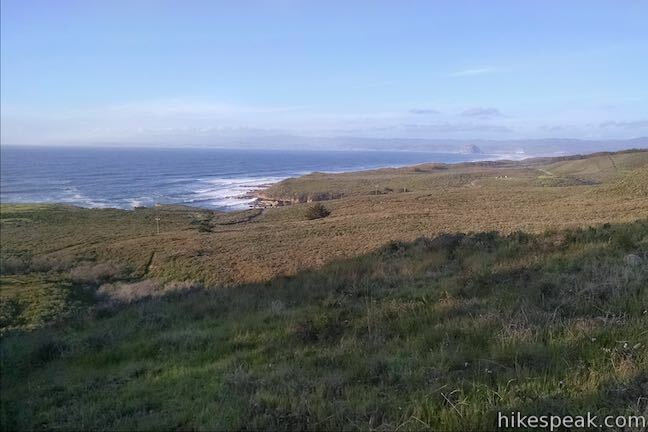 Montaña de Oro State Park preserves a stunning stretch of the California’s Central Coast where the Irish hills meet the Pacific Ocean. Picturesque bluffs and sandy coves dominate the coastline. The inland side of the park has charming peaks and canyons. 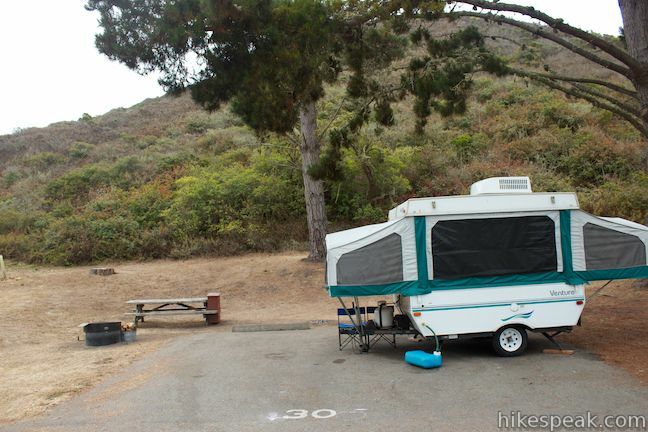 Within the park’s largest canyon, Islay Creek Canyon, you’ll find Islay Creek Campground. 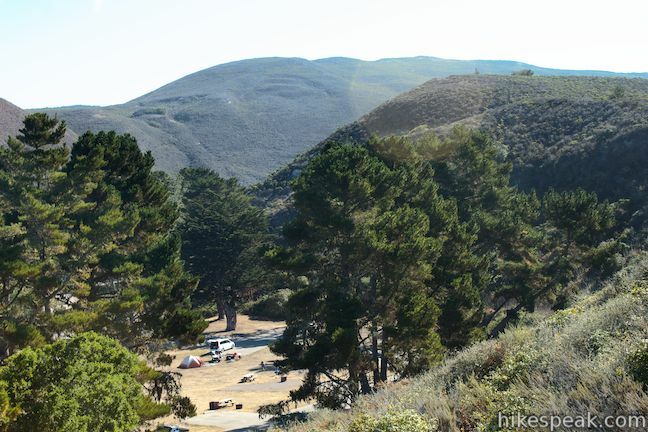 The conveniently-located campground is just a short walk from the beach at Spooner’s Cove and can serve as a base camp for hikes on nearby trails like the Bluff Trail, Valencia Peak Trail, Hazard Peak Trail, Islay Creek Trail, and Oats Peak Trail. Reservoir Flats Trail actually passes right through Islay Creek Campground, on a 2-mile loop that provides a great overview of the campground’s surroundings. 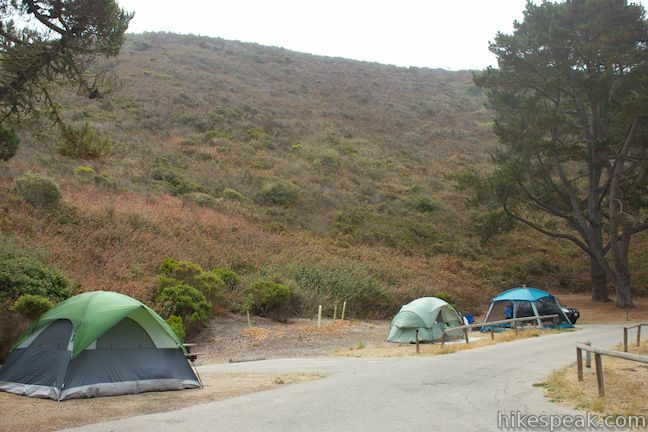 Islay Creek Campground has 50 standard campsites that accommodating groups of eight or less. 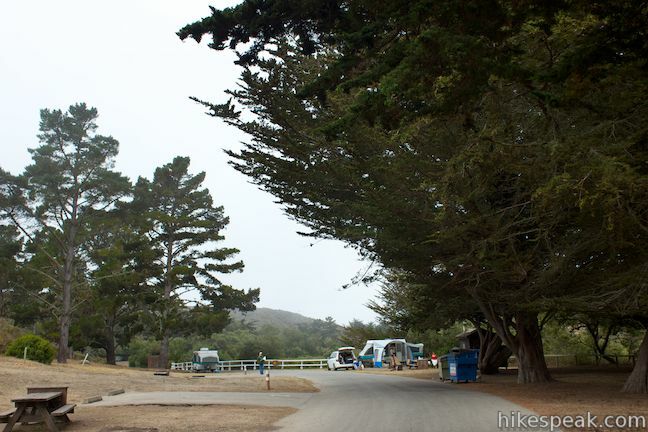 The campground is spread along a roughly half-mile long road with two loops. 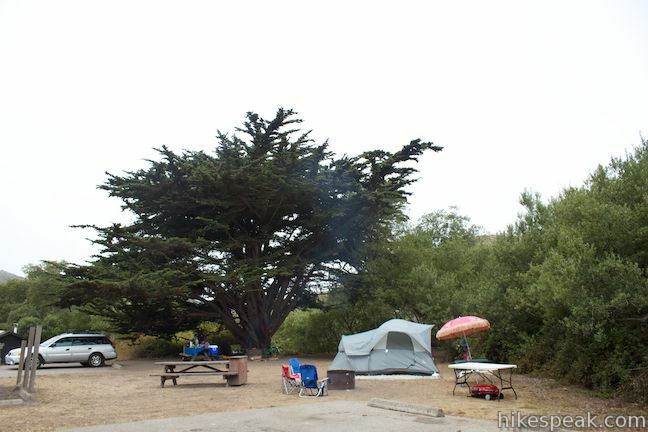 Monterey cypress and larger pines provide intermittent shade. Campsites have soft ground to set up tents on. Sites can accommodate small RVs up to 27 feet in length. 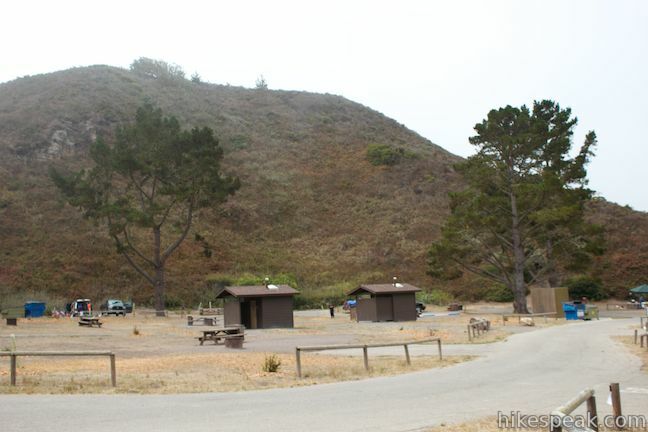 Campground amenities include picnic tables, fire rings, vault toilets, and potable water. 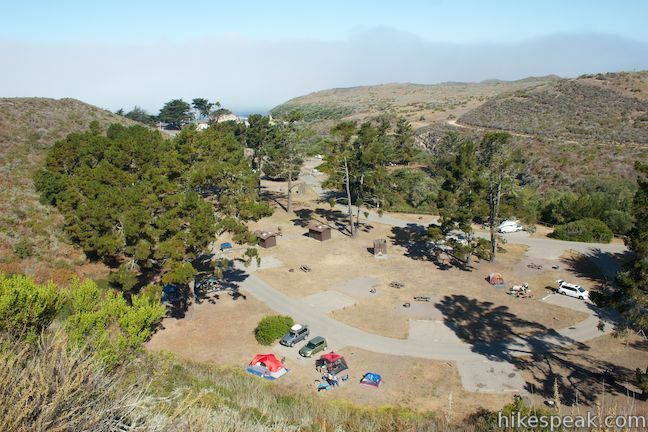 The campground is open year round, and reservations are accepted during the summer season. During the winter, sites are first-come first-served. 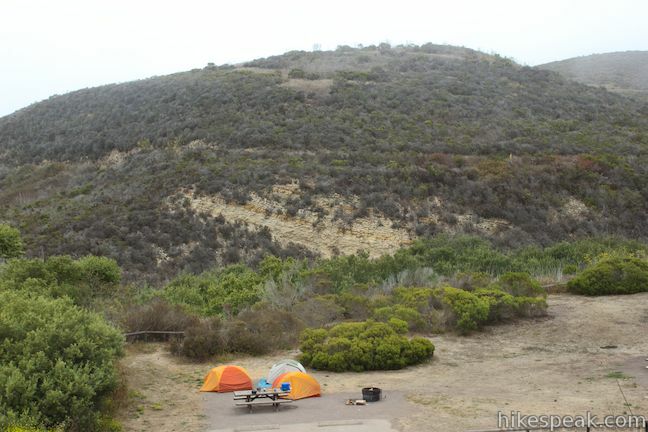 Expect the campground to be full most weekends throughout the summer and book your site in advance, either online or by calling (805) 772-7434. Collecting firewood is not allowed, but you can purchase firewood from the camp host. 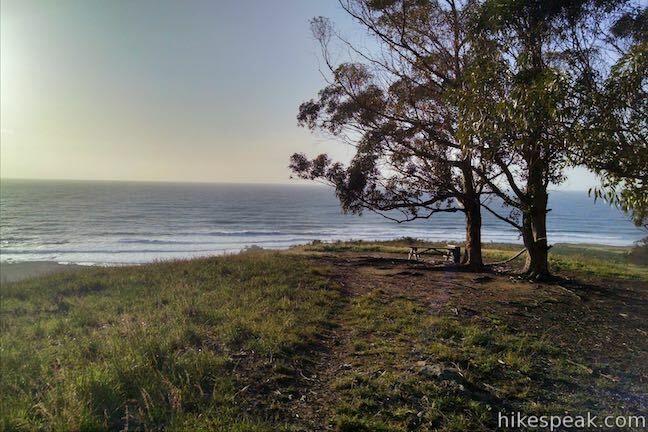 Dogs are allowed on leashes in the campground, but not on trails and beaches, except for Spooner’s Cove Beach, which is just below the campground at the bottom of Islay Creek Canyon. 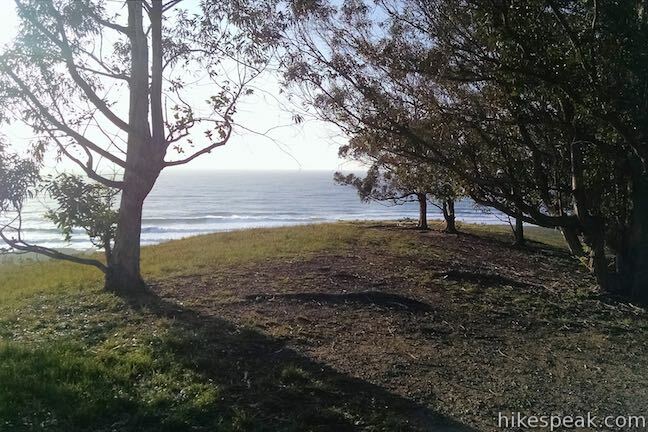 Check-in time is at 2 p.m. and check-out is at 12 p.m.
Montaña de Oro State Park has other camping options as well. 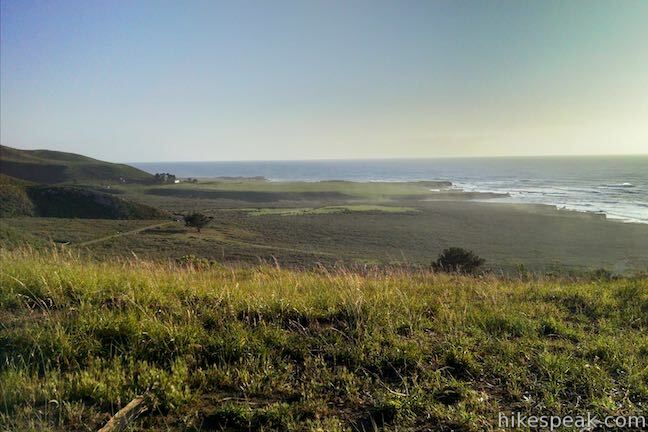 If you’re with an equine, there is a horse camp in Hazard Canyon, just a short distance north up the coast. 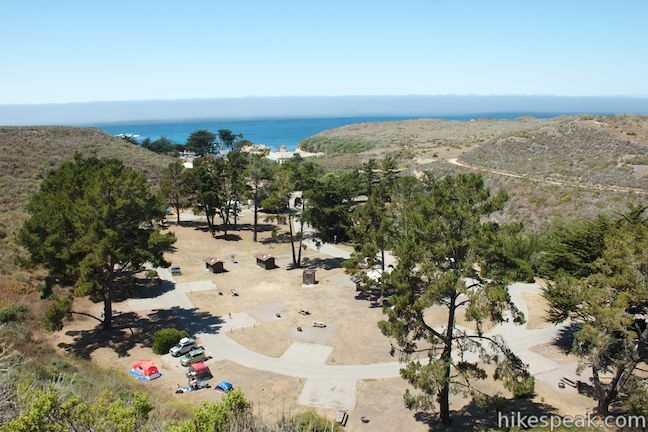 Montaña de Oro State Park also has four environmental camping sites. These primitive sites are hike-in sites and do not allow campfires or dogs (but still accommodate groups up to eight people). 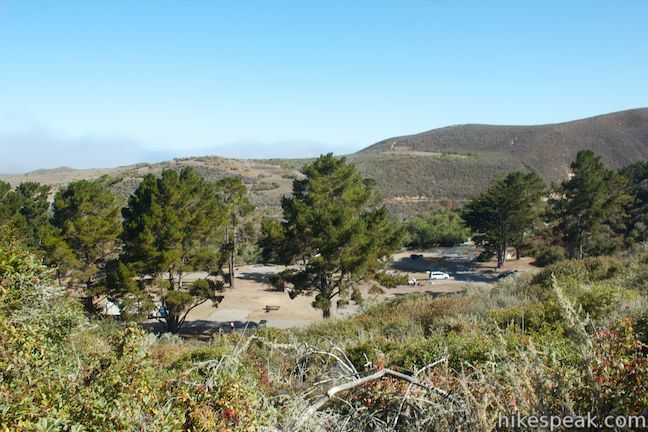 The first two environmental campsites, Bloody Nose Camp and Hazard Grove Camp, are located north of Islay Creek Campground and the second two, Badger Flat Camp and Deer Flat Camp, are located south of Islay Creek Campground (photos of Badger Flat Camp are below). 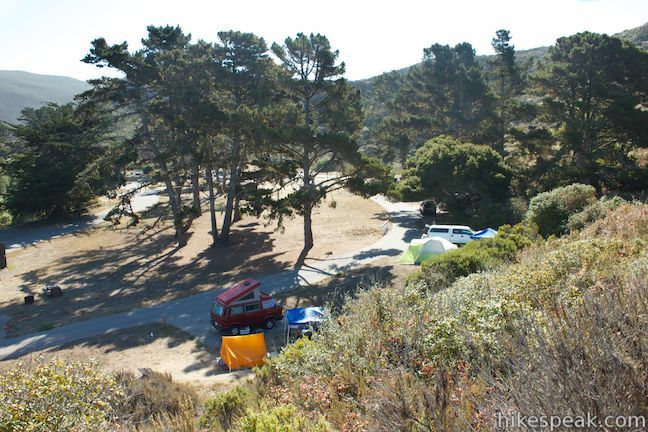 Environmental Campsites are $25 per site and $10 for extra vehicles. 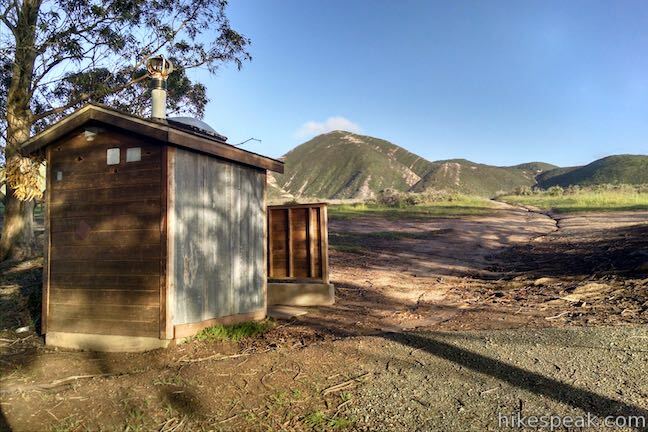 If an environmental site has not been reserved, you can self-register for the site at Islay Creek Campground just as you would for a site at Islay Creek Campground. 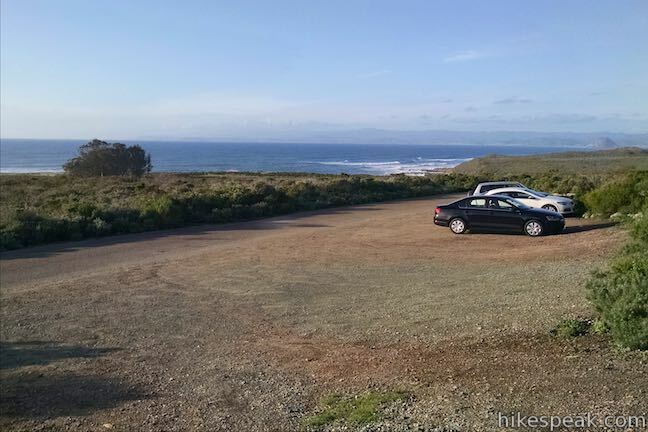 To get to Islay Creek Campground: From San Luis Obispo, exit Highway 101 at Los Osos Valley Road and drive northwest toward Los Osos. After 11.2 miles, Los Osos Valley Road becomes Pecho Valley Road and turns sharply to the south. 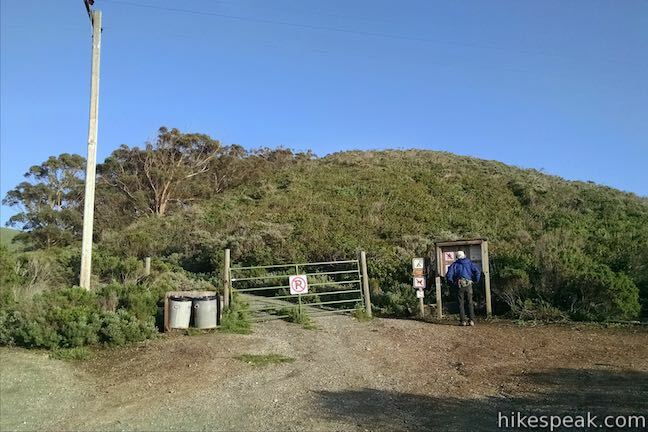 Continue the final 3.7 miles, entering Montaña de Oro State Park and passing through a eucalyptus grove before reaching the road to Islay Creek Campground on the left side of the road just past Spooner’s Cove and the visitor center in Spooner’s Ranch House (and before the trailheads for the Bluff Trail and Valencia Peak). Turn left onto the road past the visitor center and drive down into the campground. These photos were taken in August of 2013 and March of 2016. Click to enlarge. 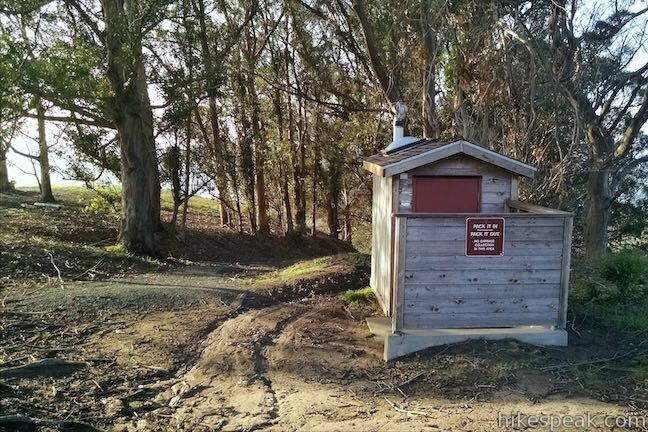 Does Islay Creek campground have a dump station? no, but you can use the ones at Morro bay on your way out. How would I go about making a reservation for this campsite??? Are there any mountain bike trails? Yes. 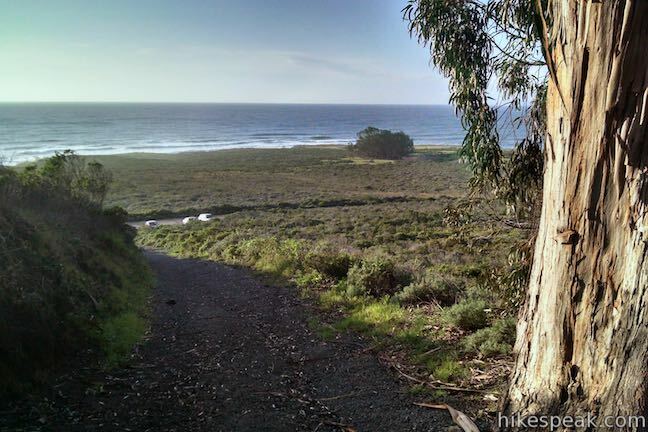 Several of the trails in Montaña de Oro State Park are open to bikes. 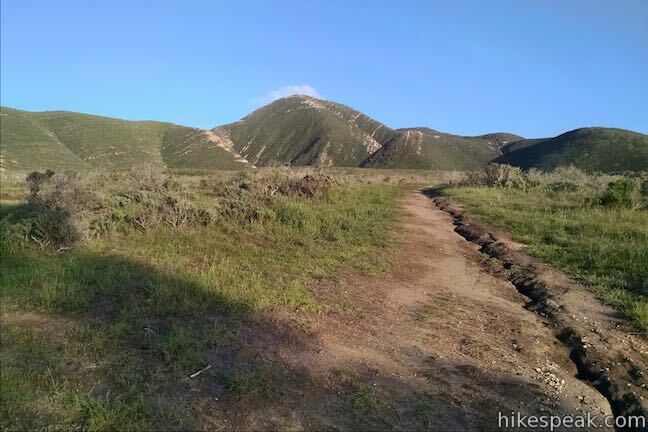 Hazard Peak Trail is a popular ride for mountain bikers. Are there any showers nearby? Do you have first come first serve sites?